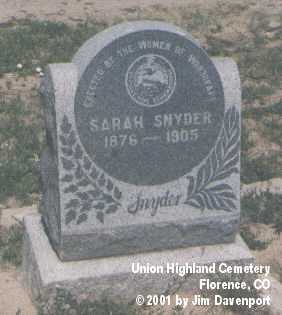 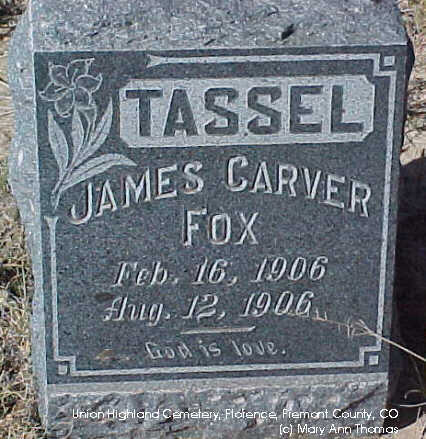 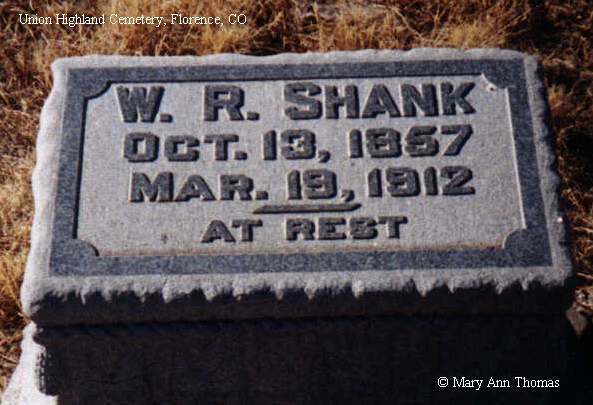 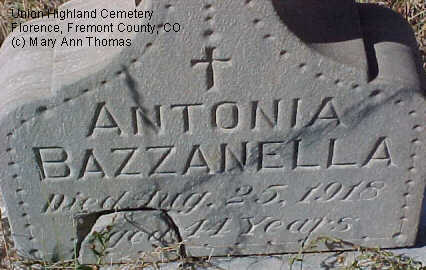 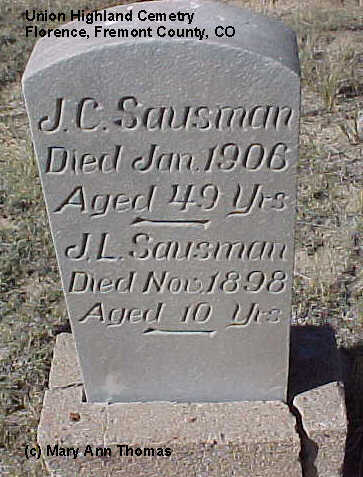 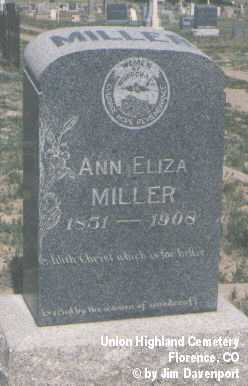 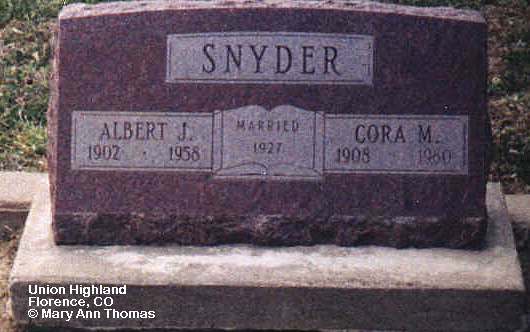 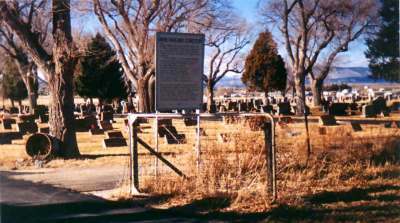 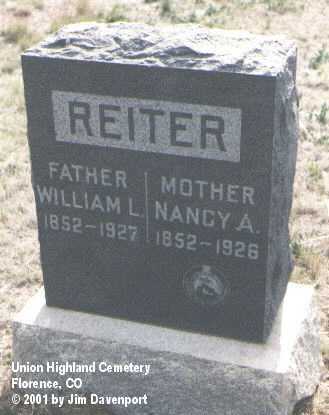 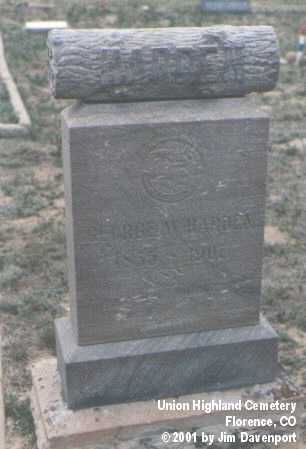 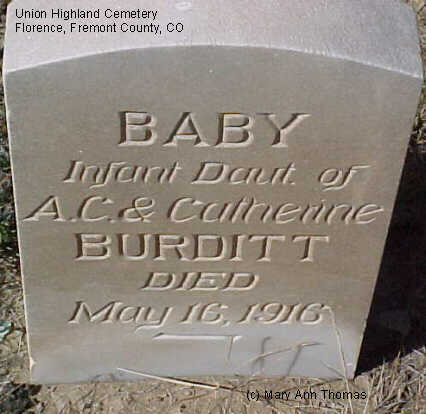 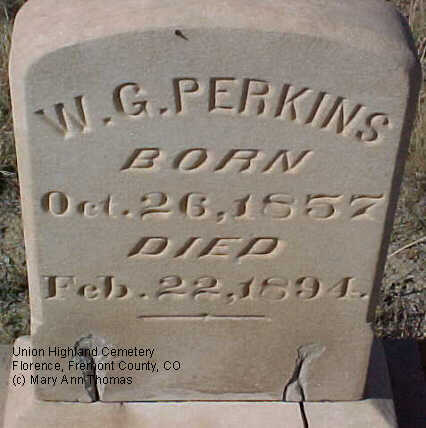 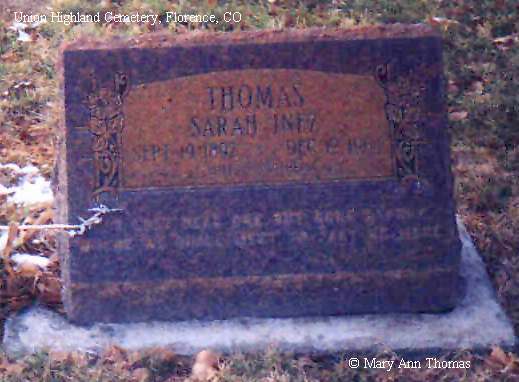 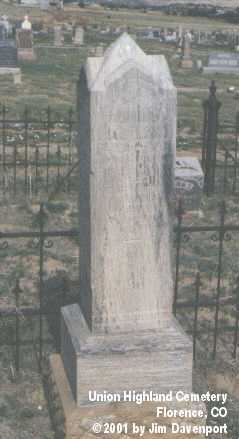 The first burial in 1873 was a Mrs. Stephan Tanner, placed in a small plot near the center, then known as the Tanner Cemetery. 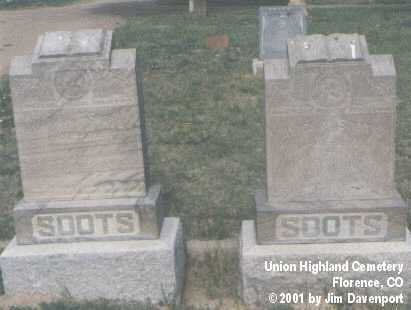 In the 1880s a considerable acreage was acquired by a Coal Creek Scottish fraternal order. 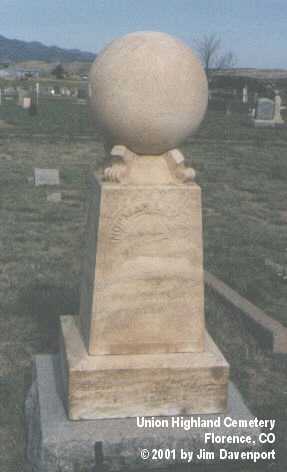 It was the Thistle Lodge #1 of the Gardeners, whose symbol was the Square and Compass with Sickle. 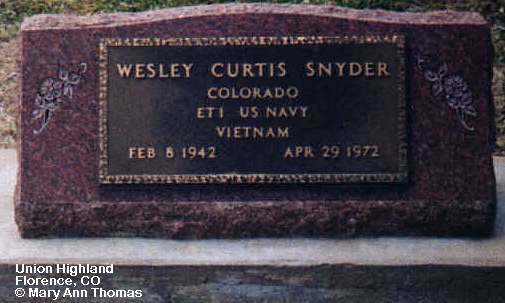 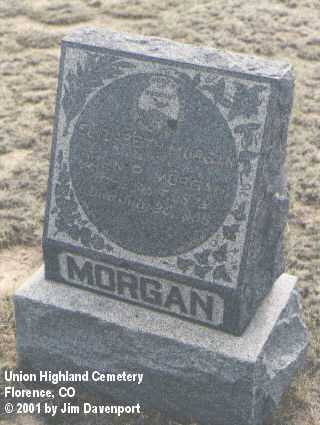 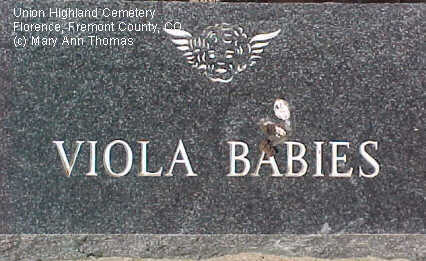 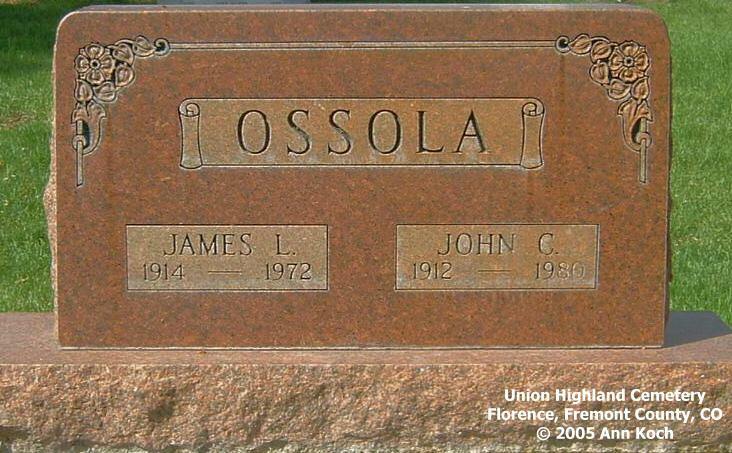 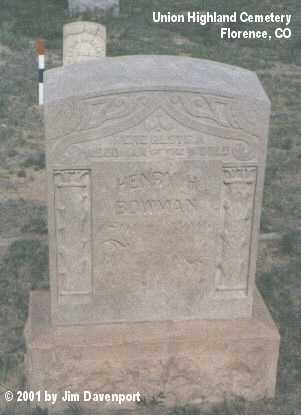 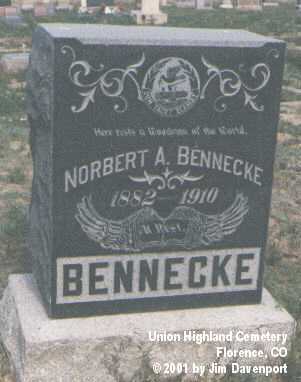 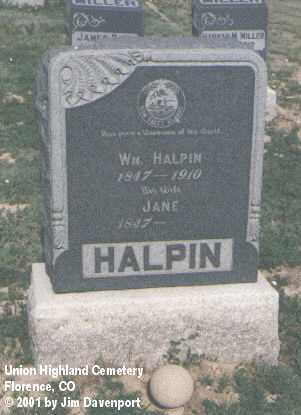 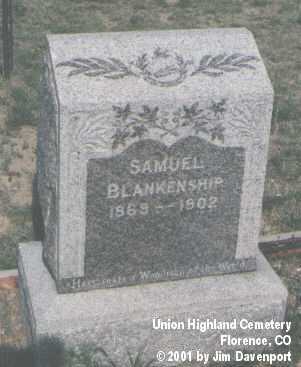 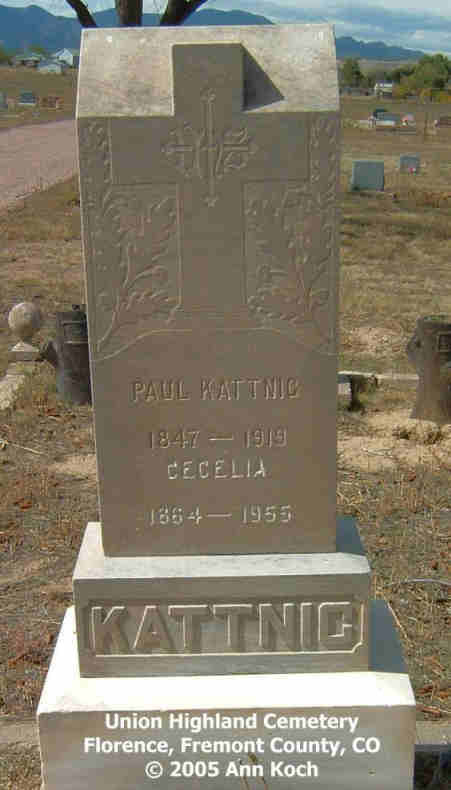 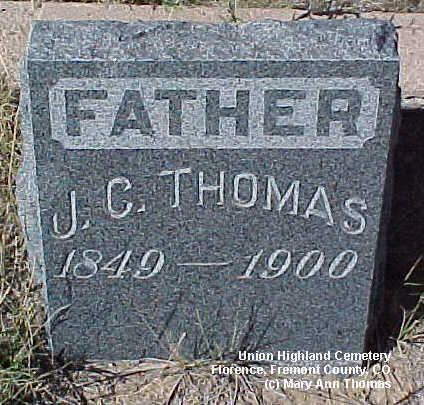 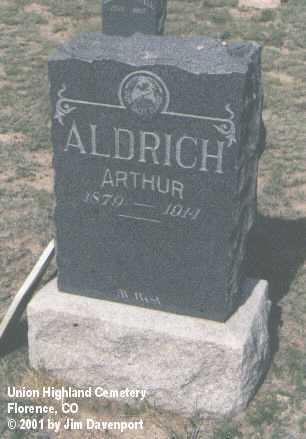 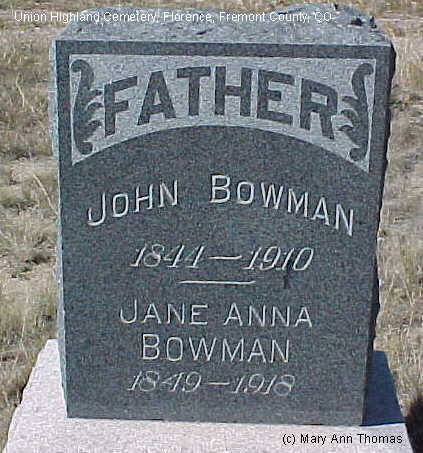 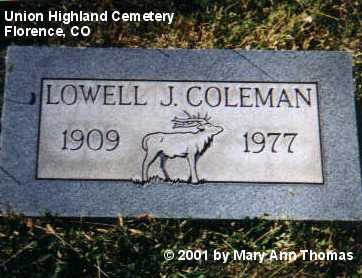 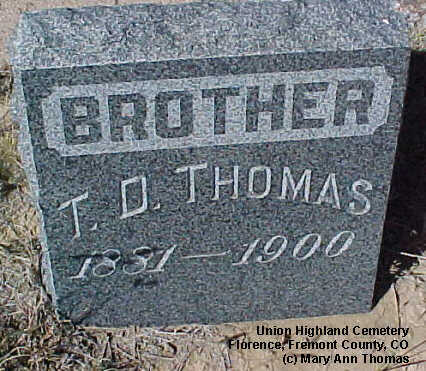 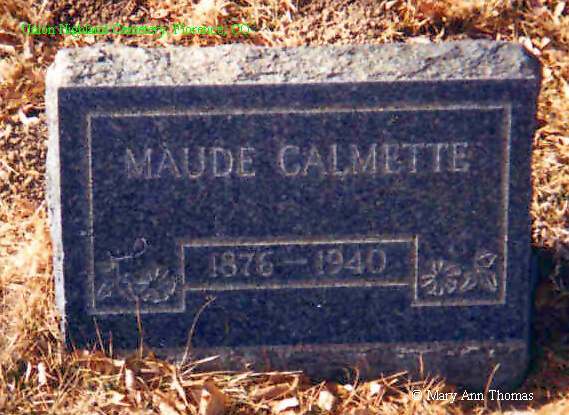 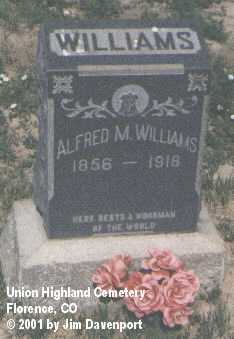 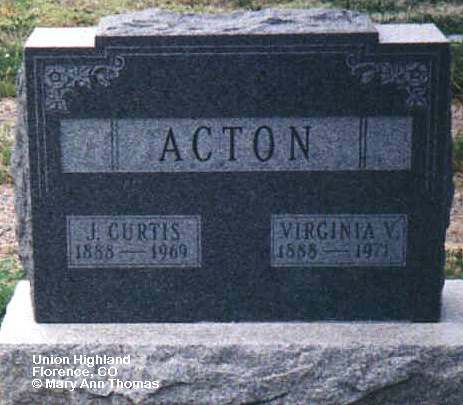 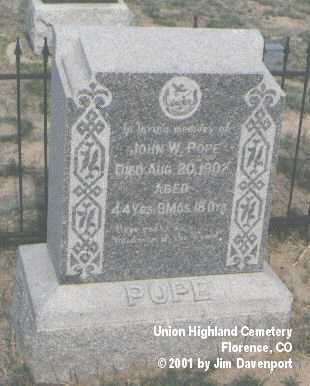 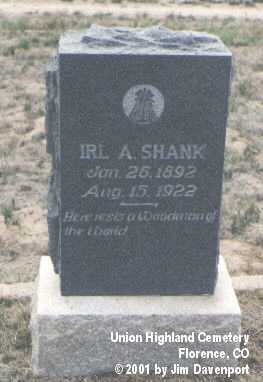 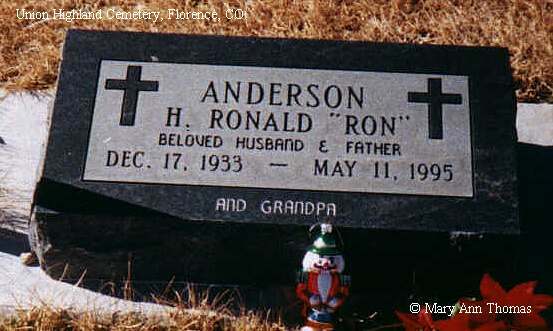 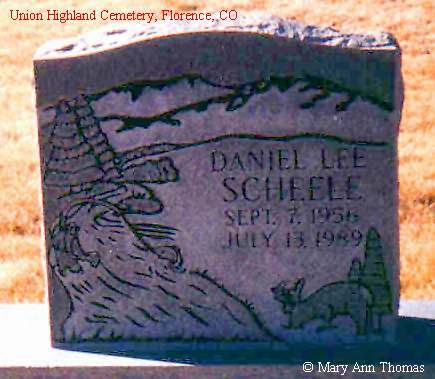 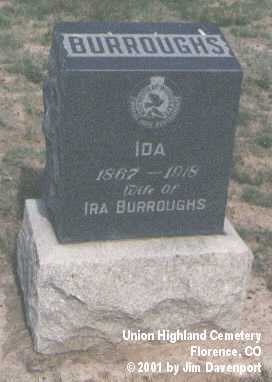 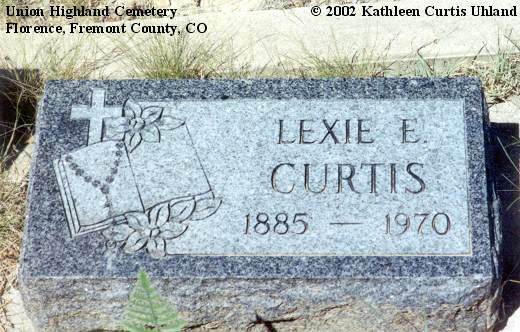 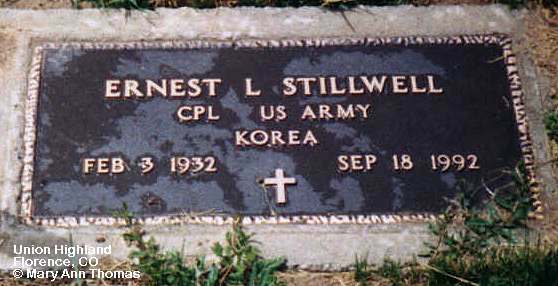 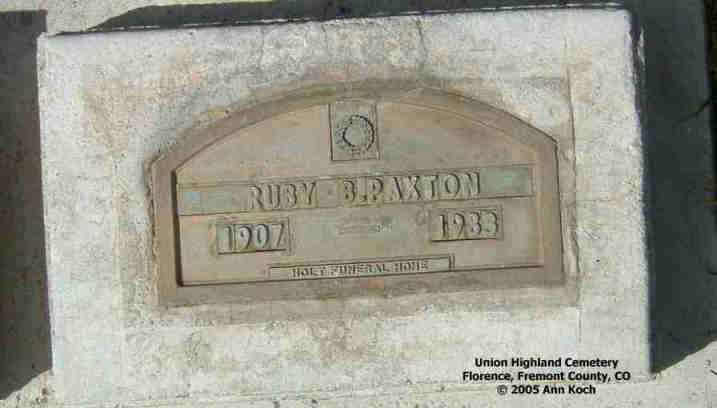 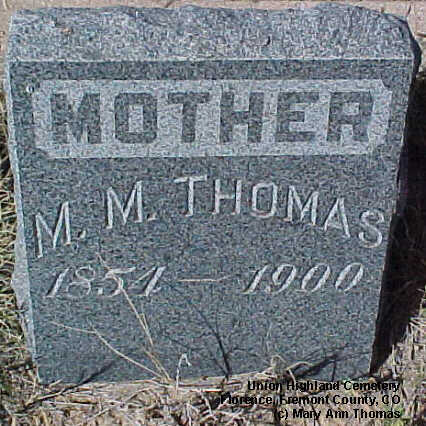 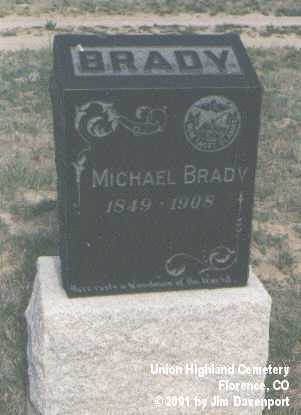 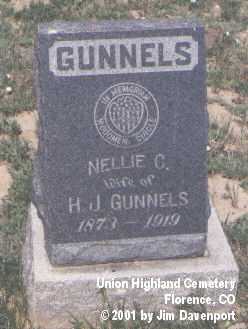 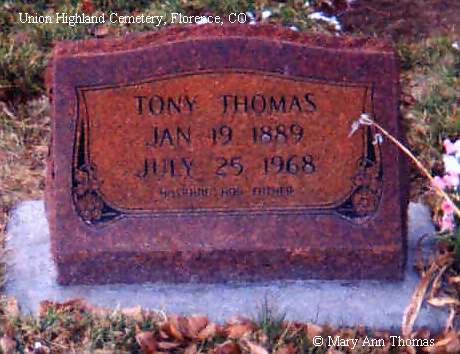 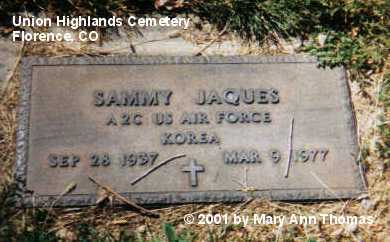 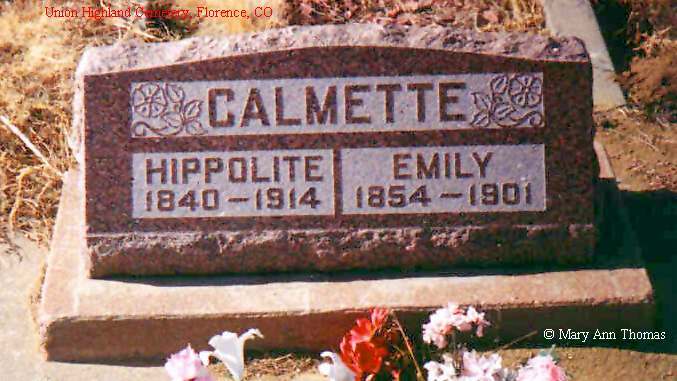 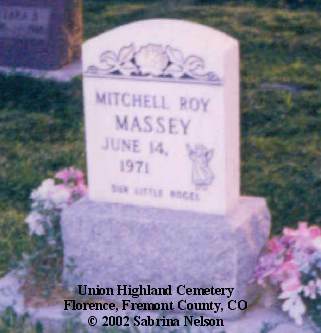 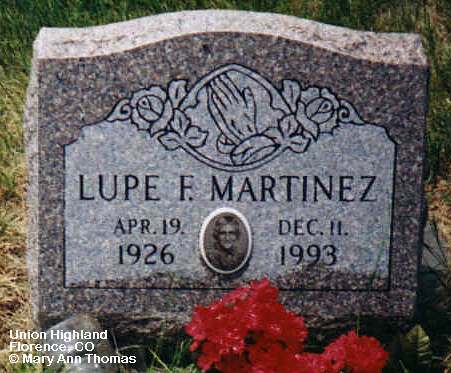 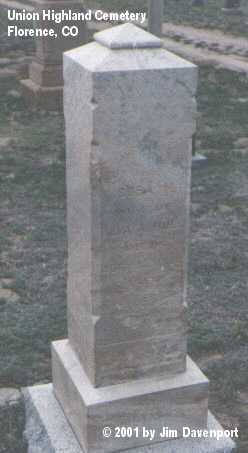 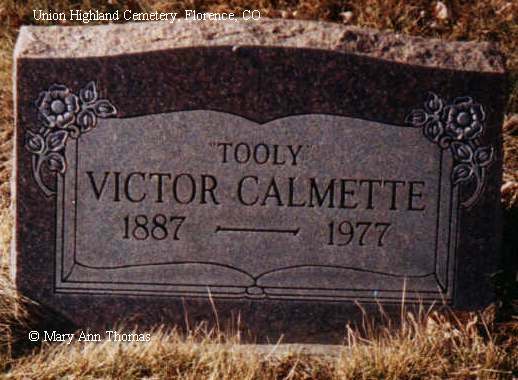 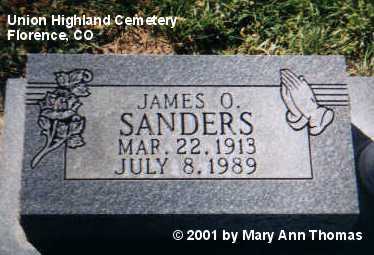 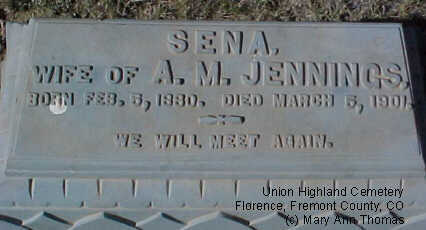 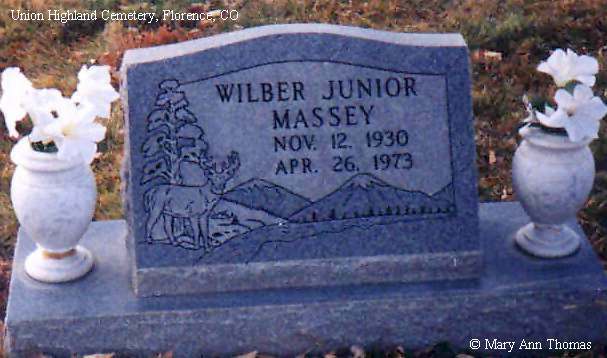 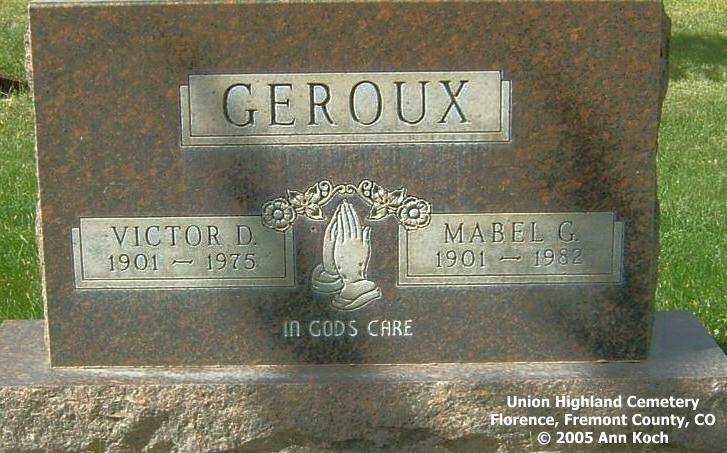 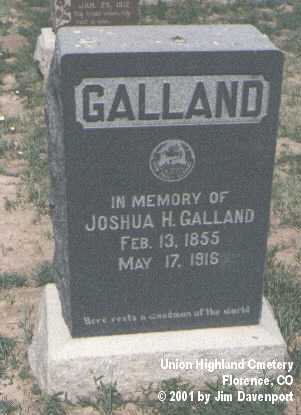 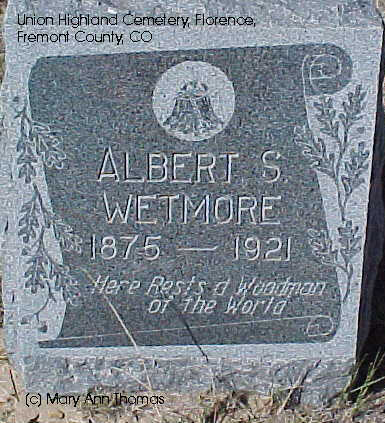 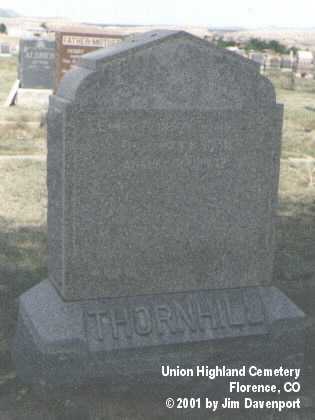 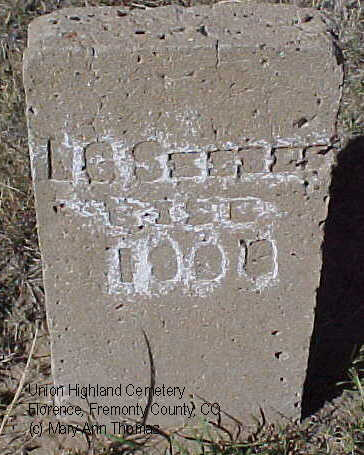 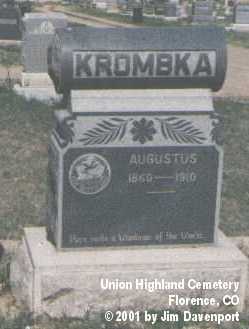 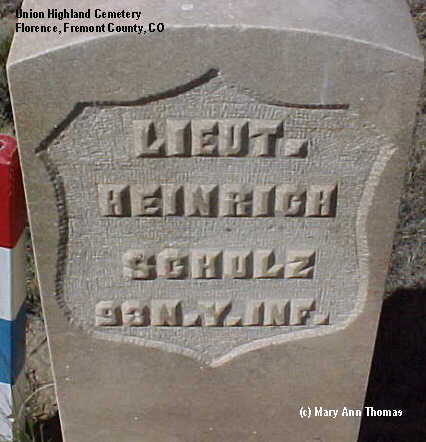 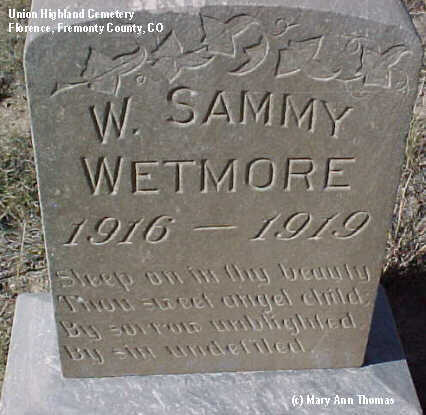 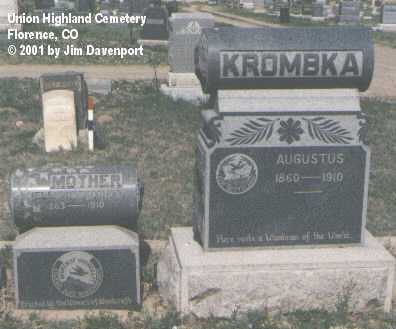 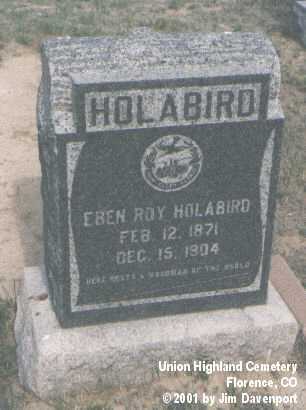 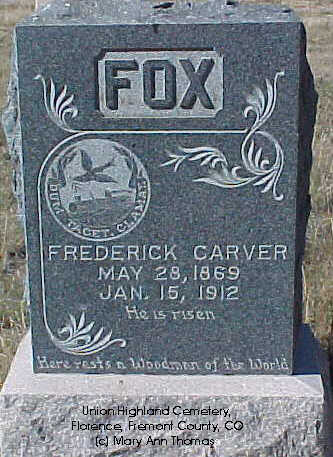 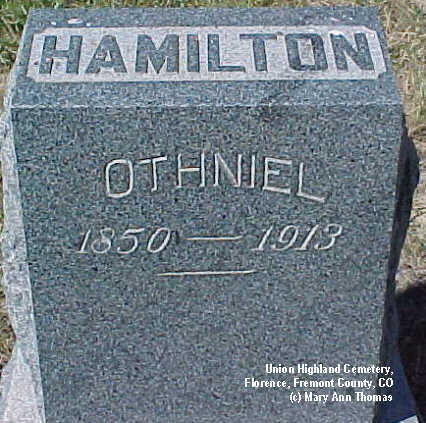 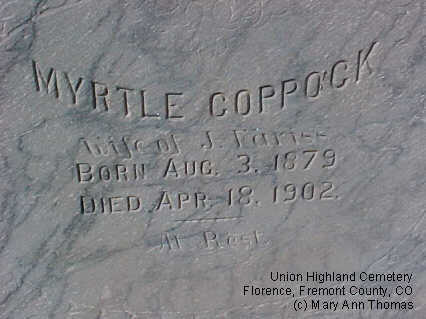 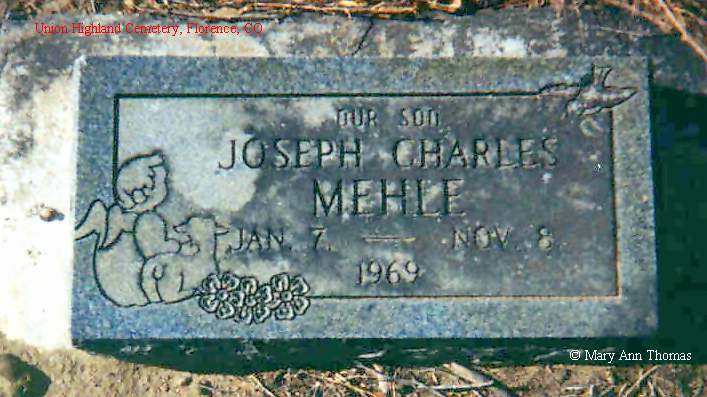 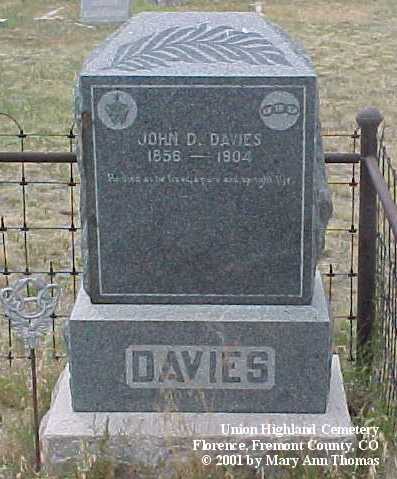 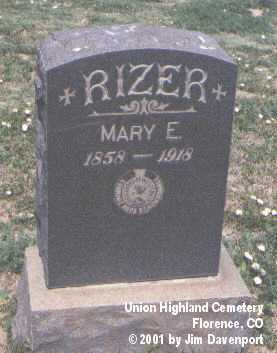 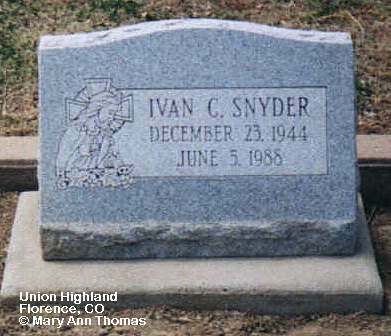 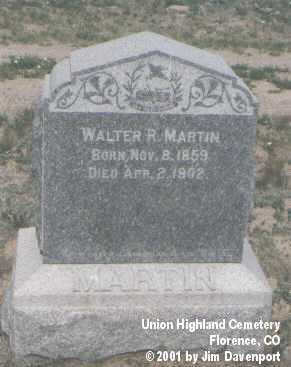 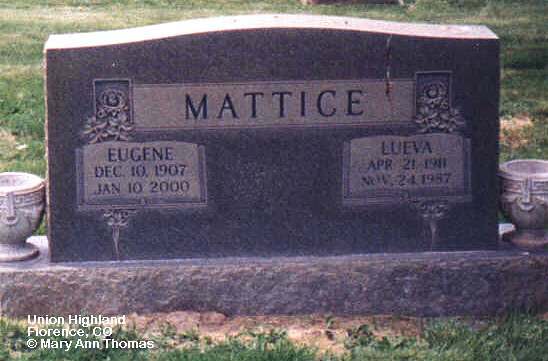 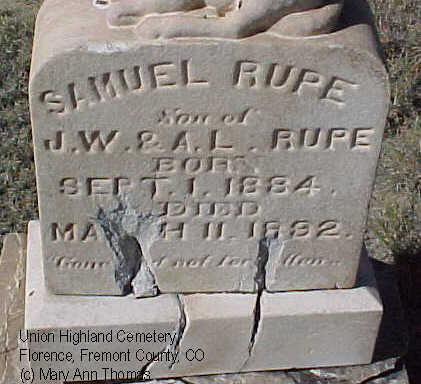 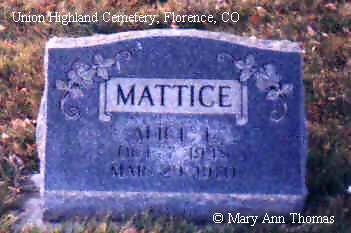 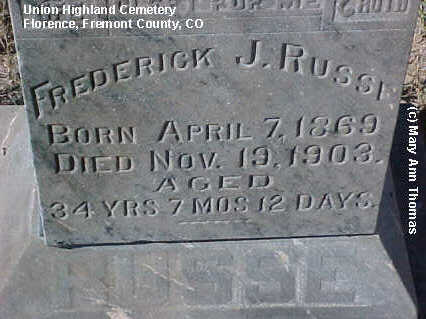 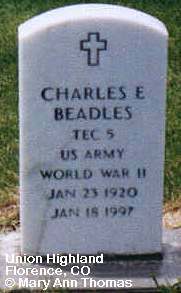 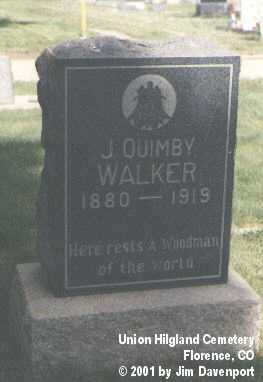 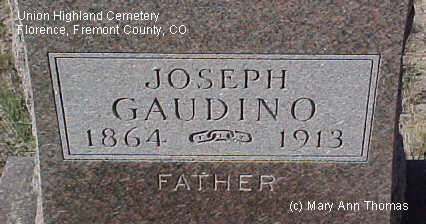 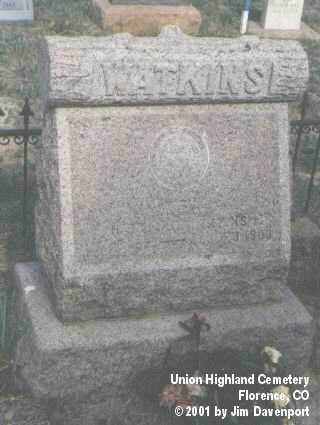 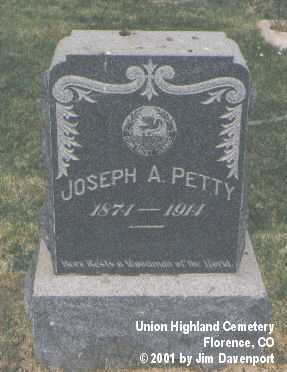 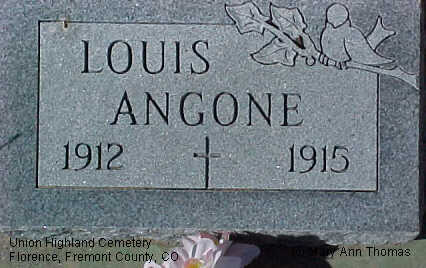 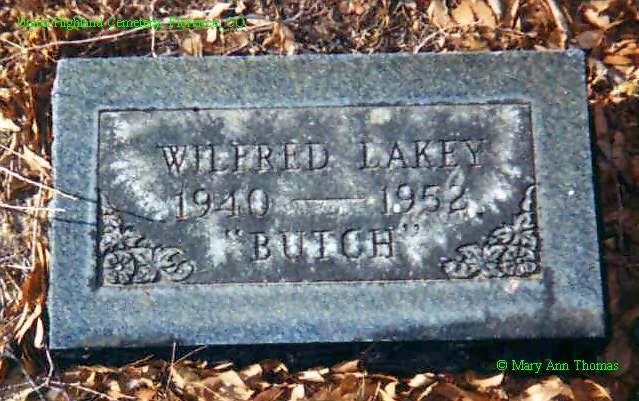 You will find this symbol on headstones in the old section of the cemetery. 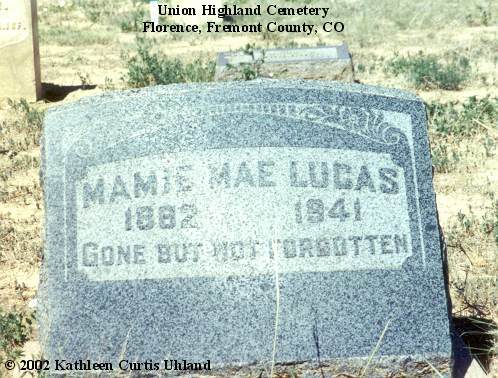 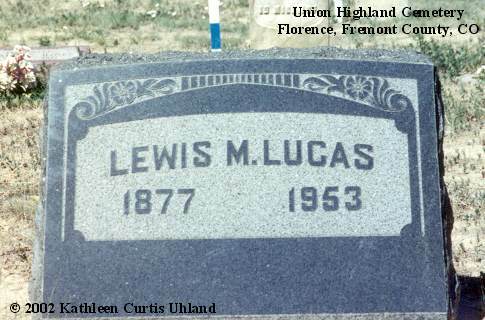 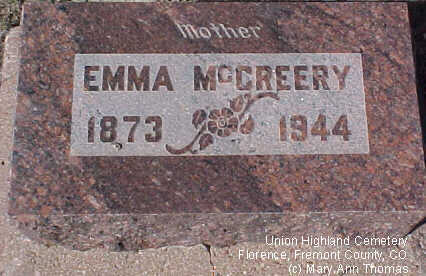 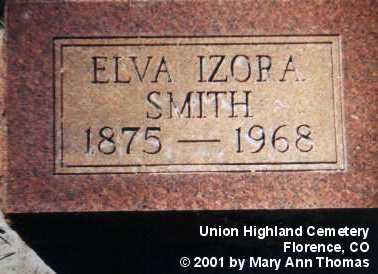 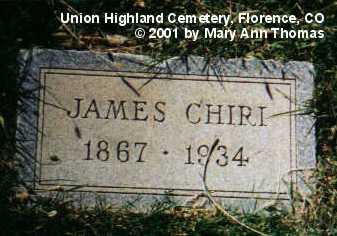 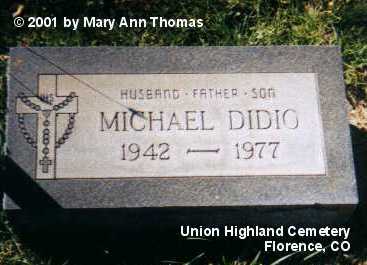 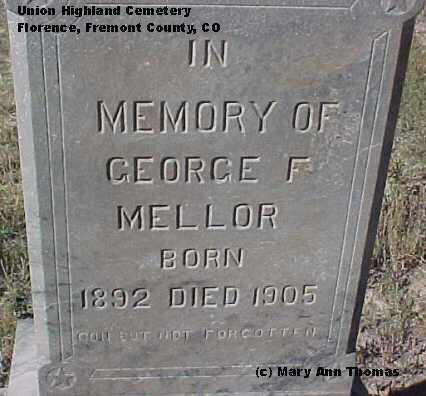 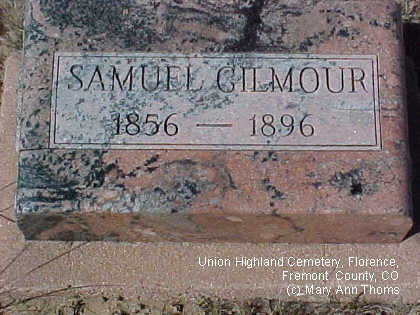 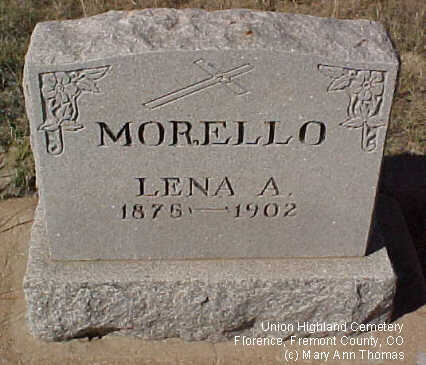 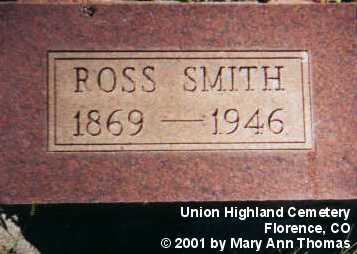 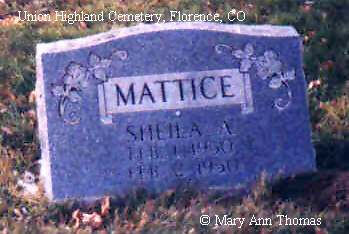 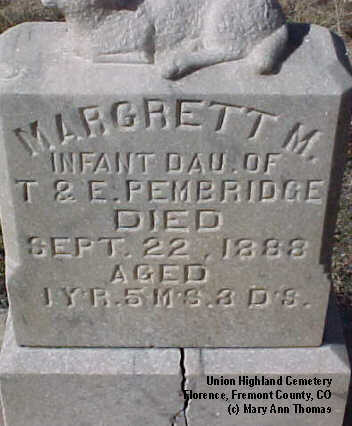 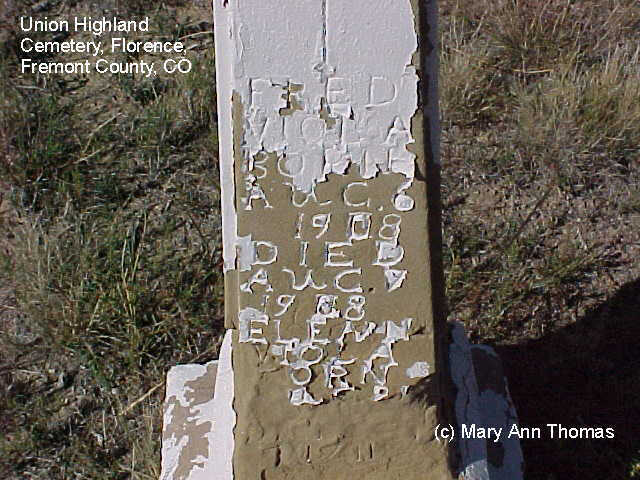 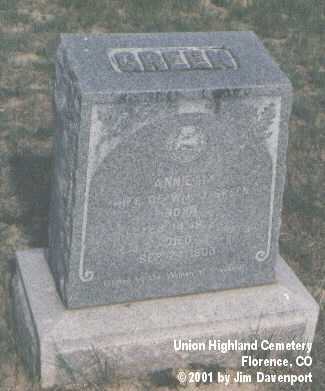 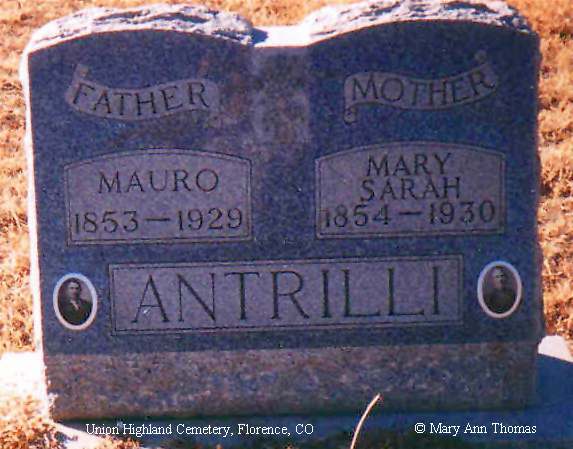 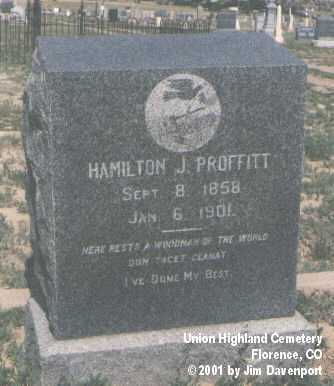 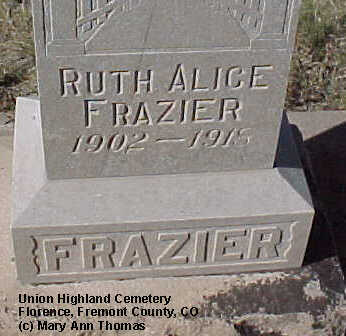 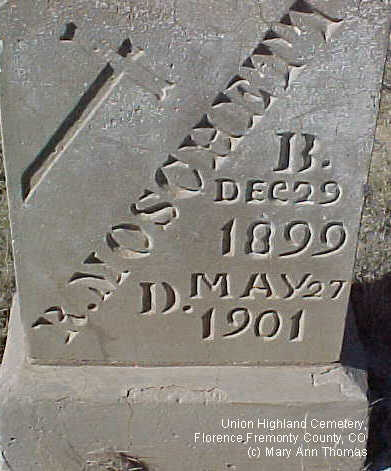 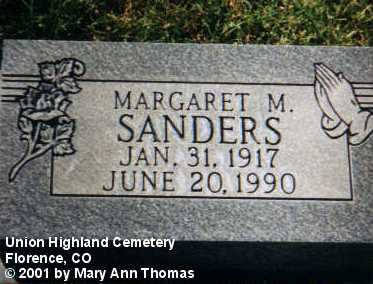 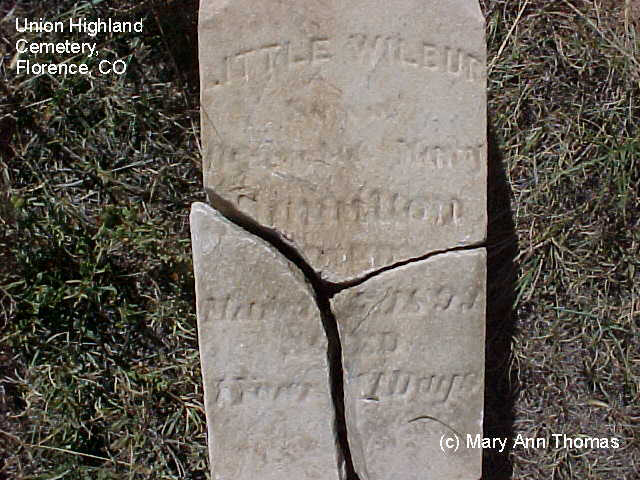 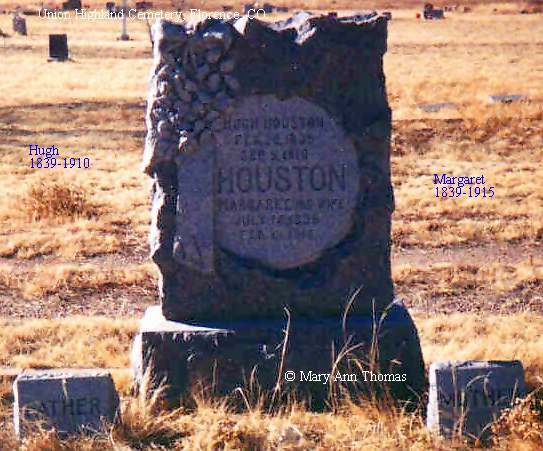 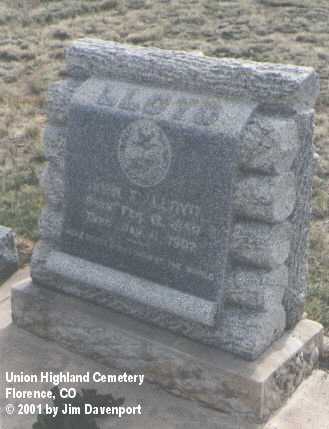 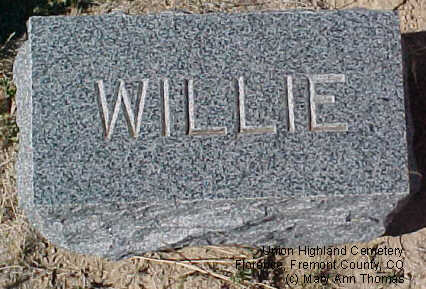 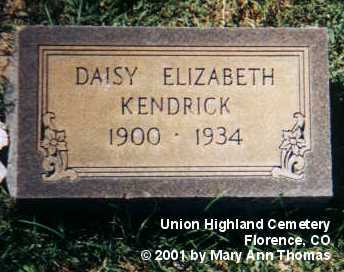 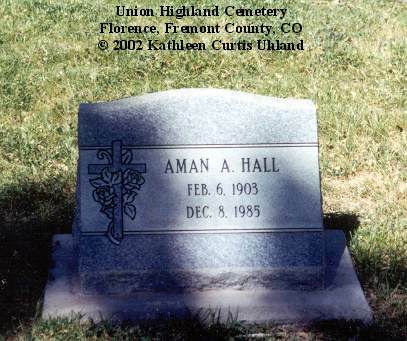 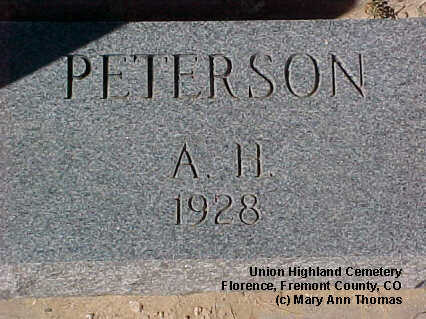 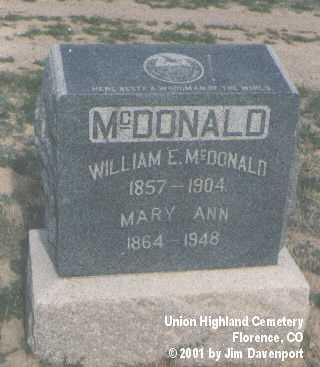 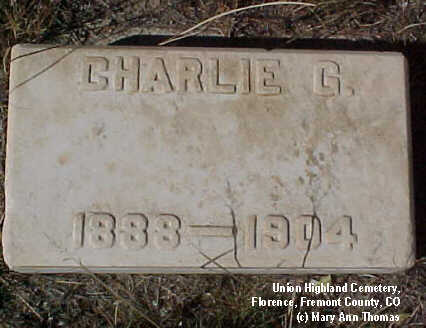 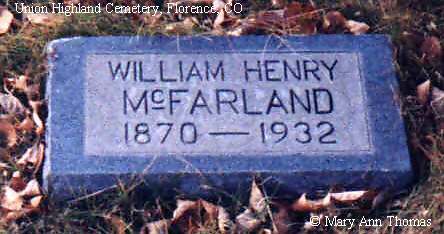 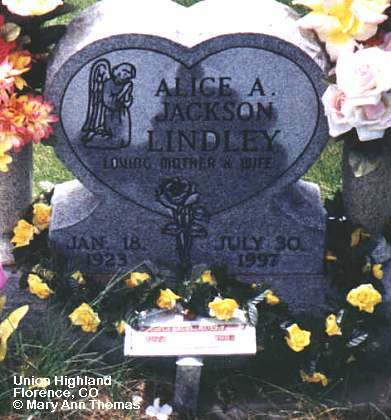 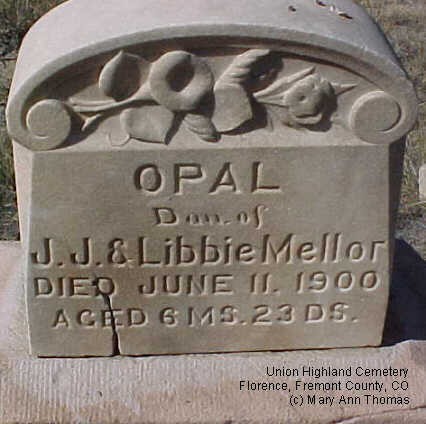 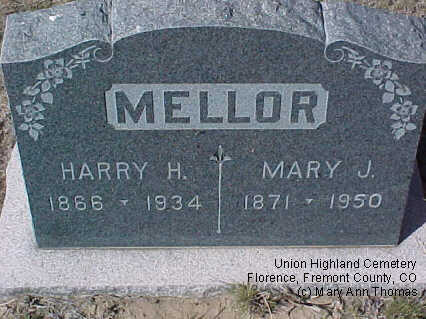 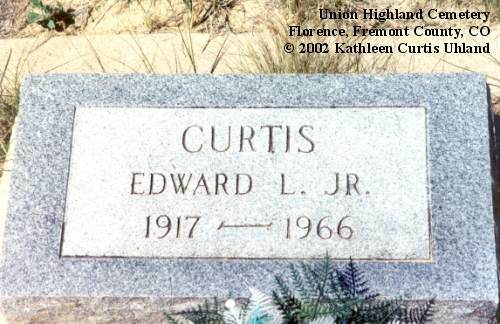 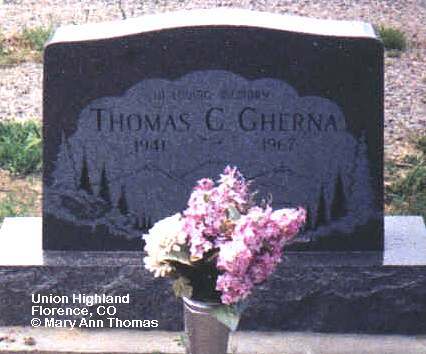 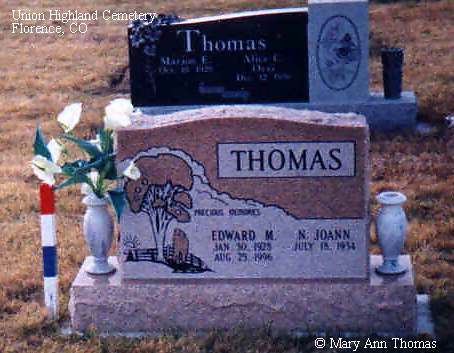 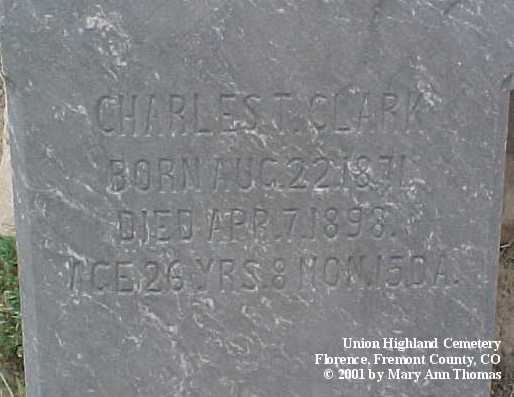 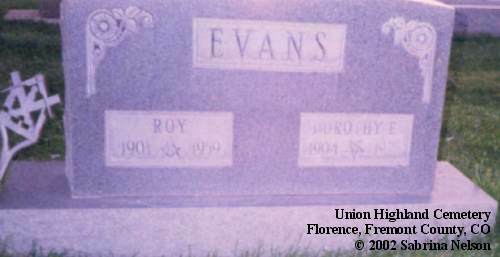 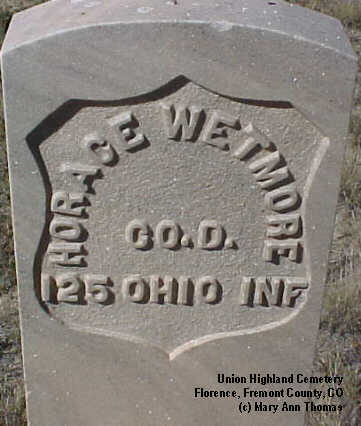 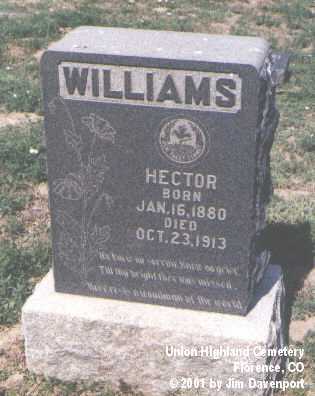 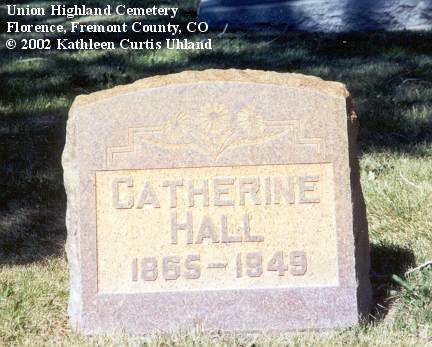 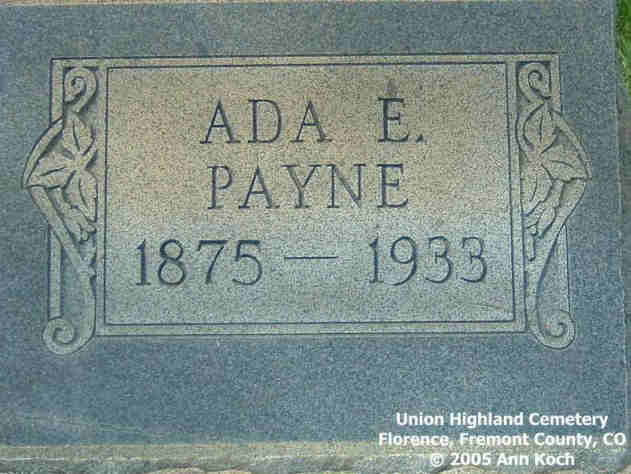 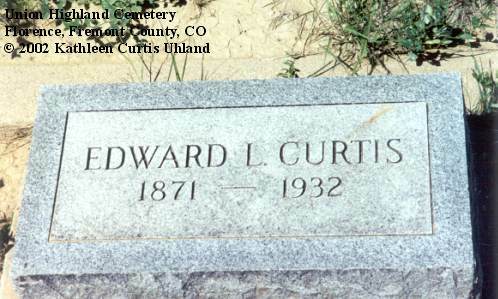 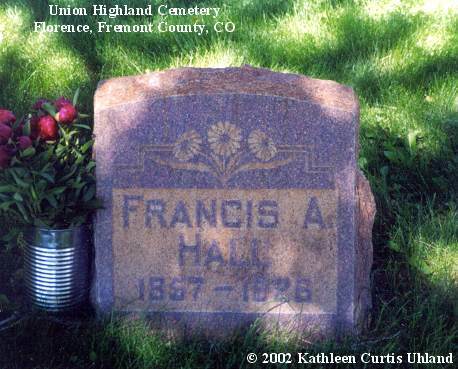 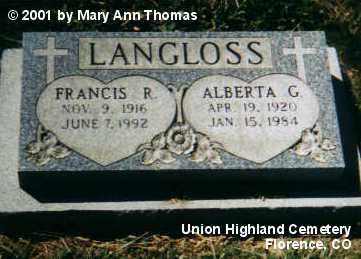 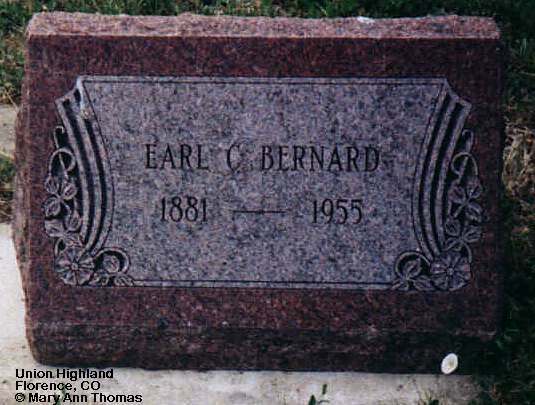 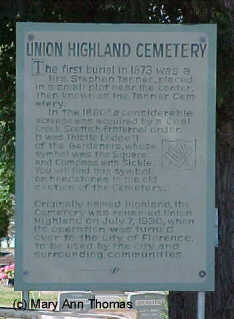 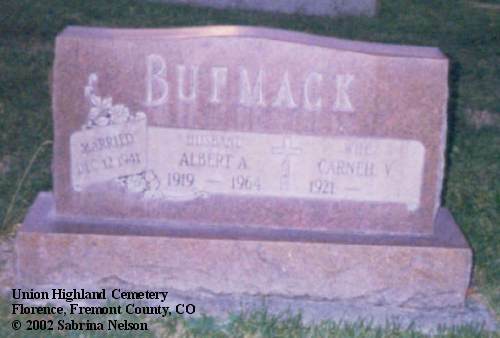 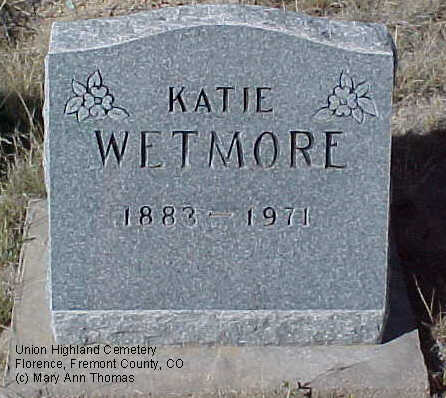 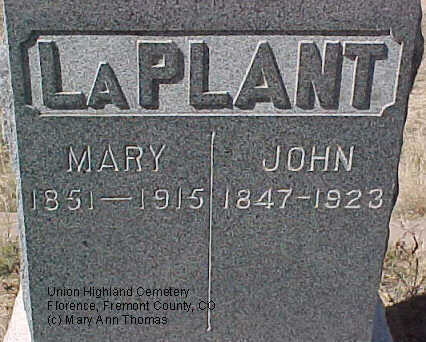 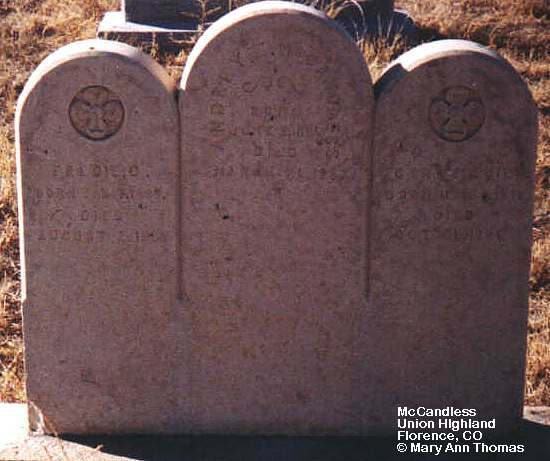 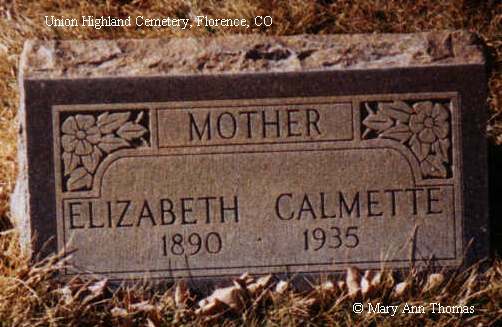 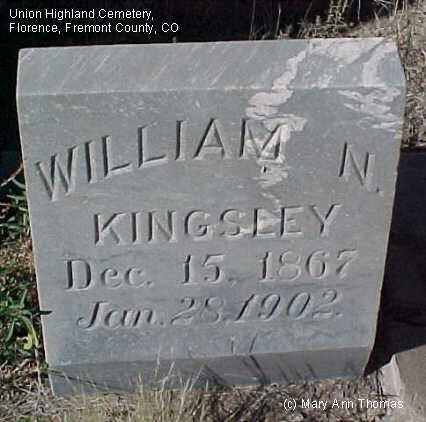 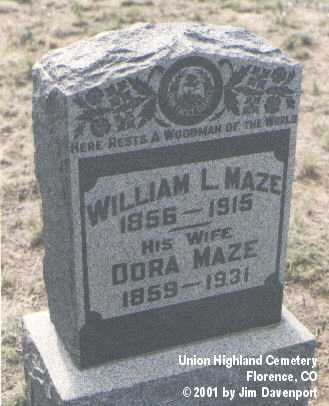 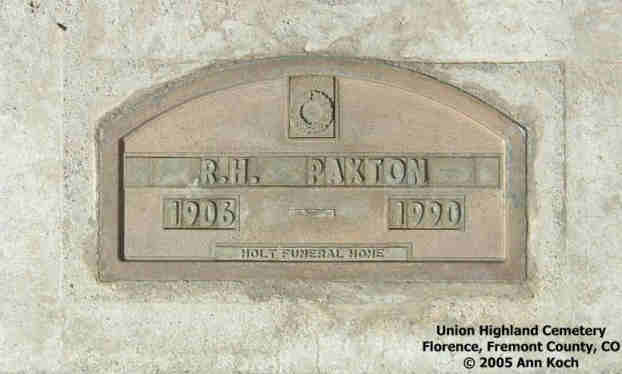 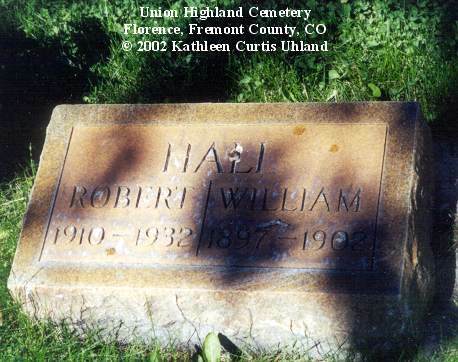 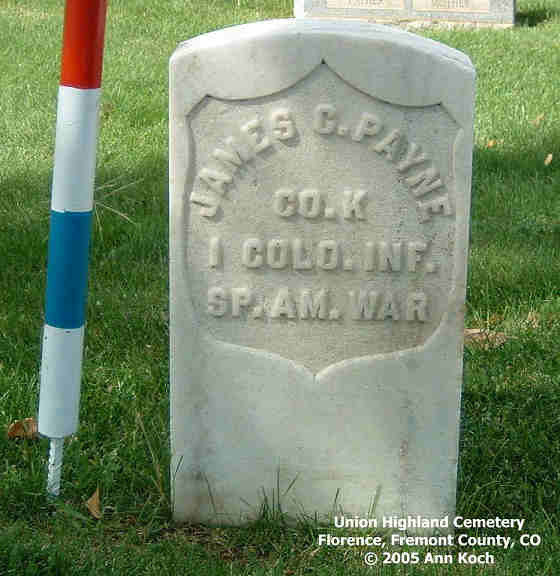 Originally named Highland, the cemetery was renamed Union Highland on July 7, 1930, when it was turned over to the city of Florence to be used by the city and surrounding communities. 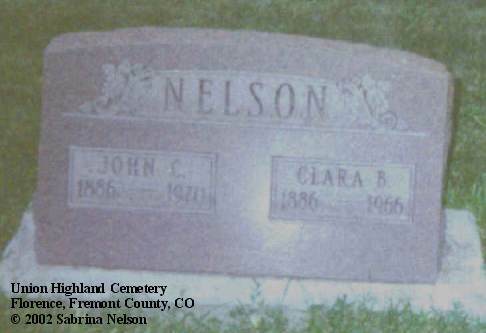 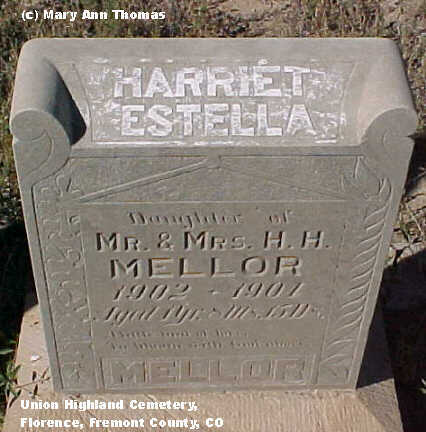 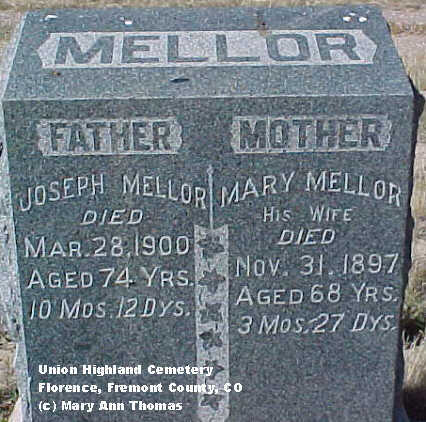 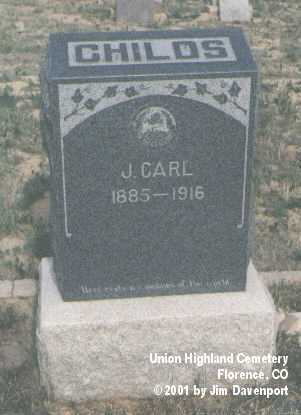 Carneil V. Nelson, daughter of John C. & Clara B. Nelson. 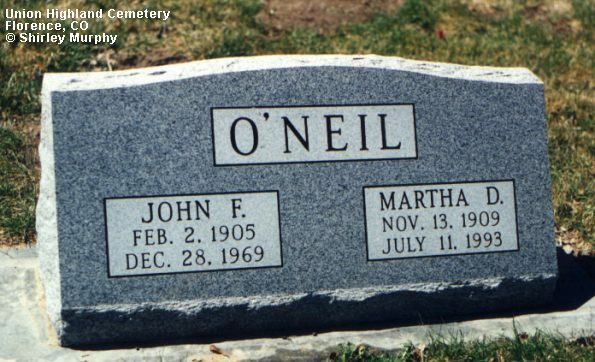 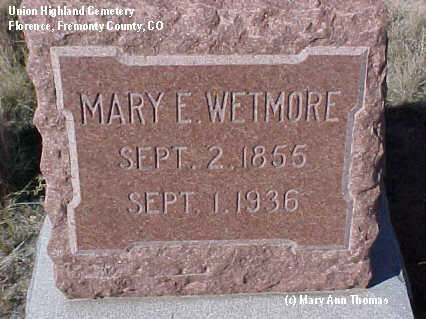 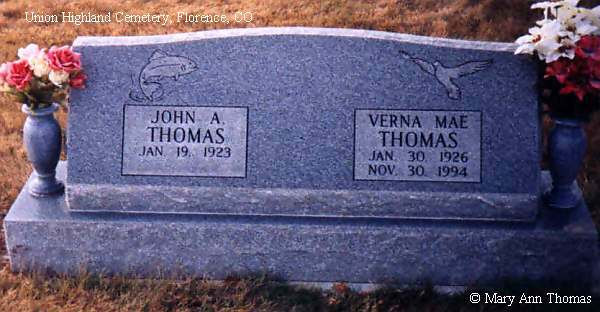 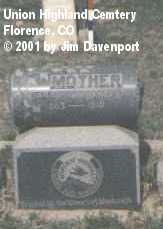 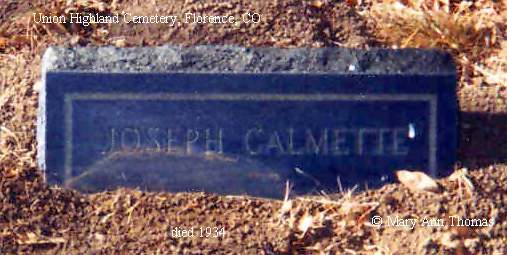 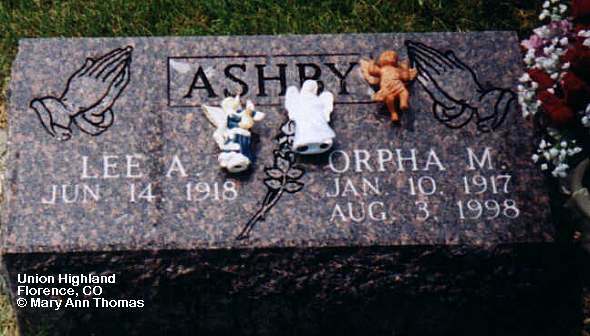 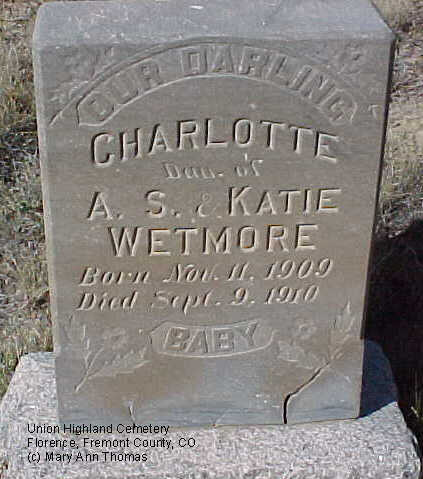 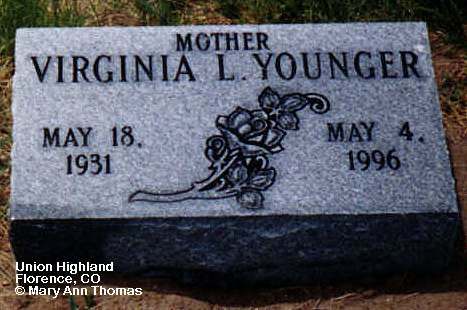 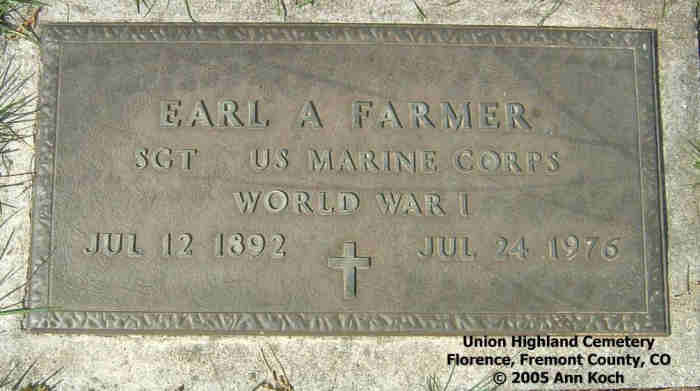 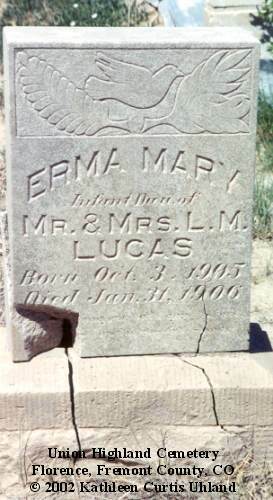 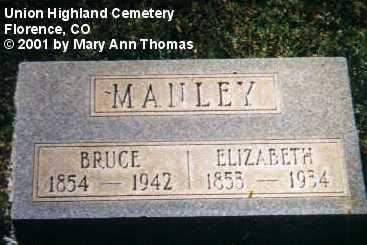 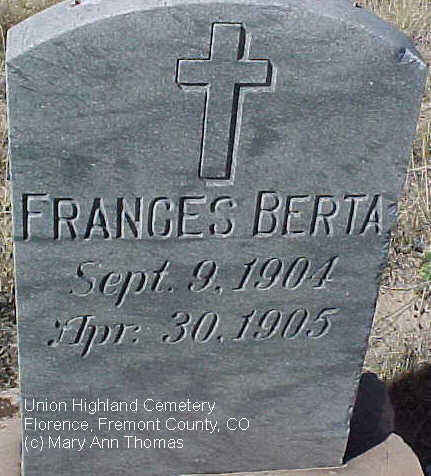 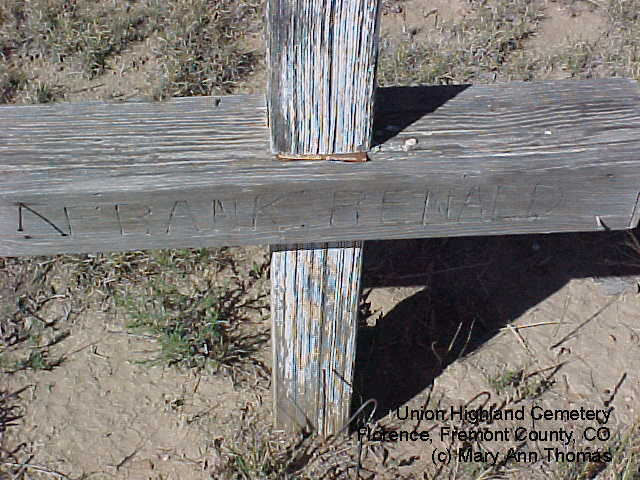 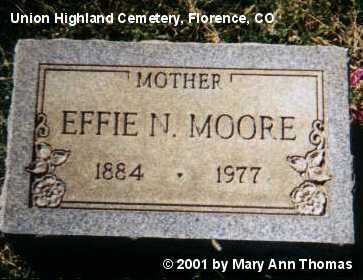 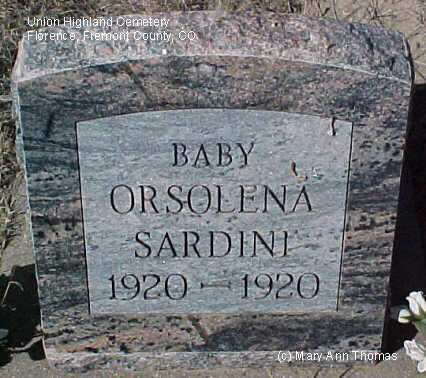 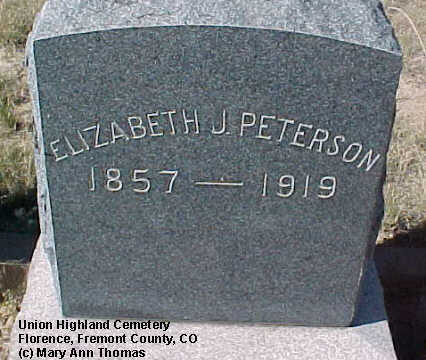 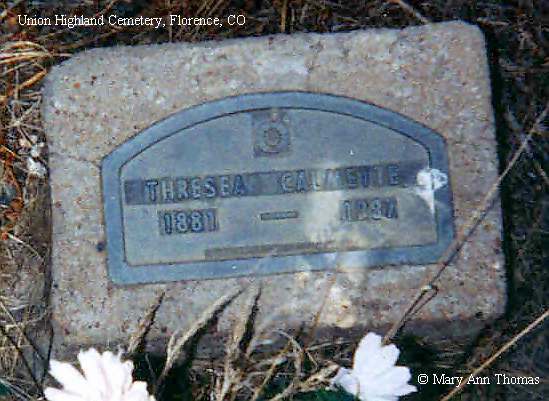 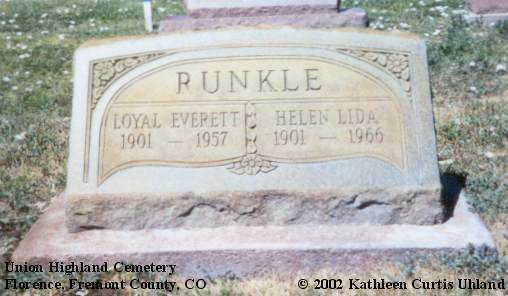 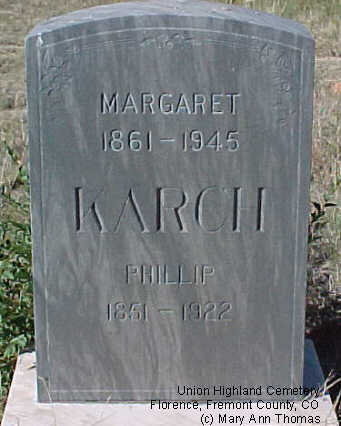 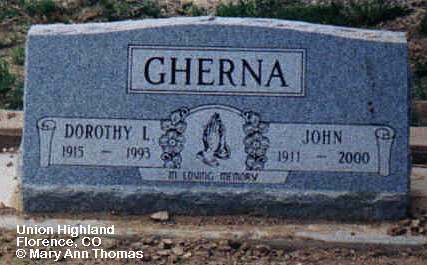 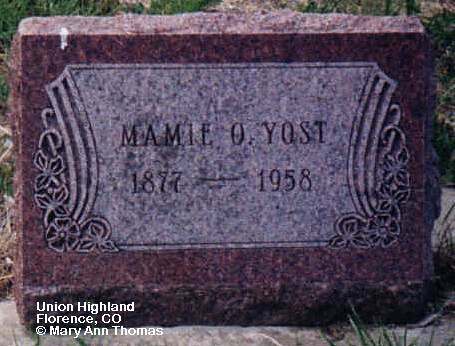 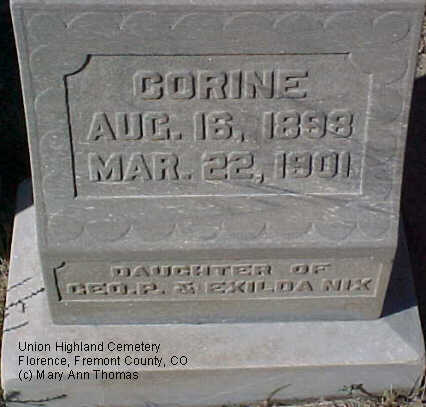 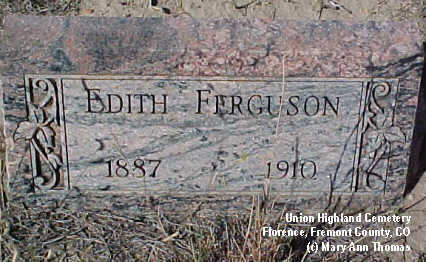 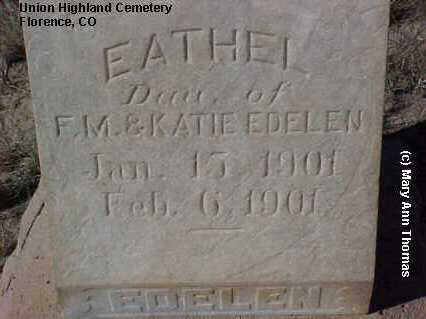 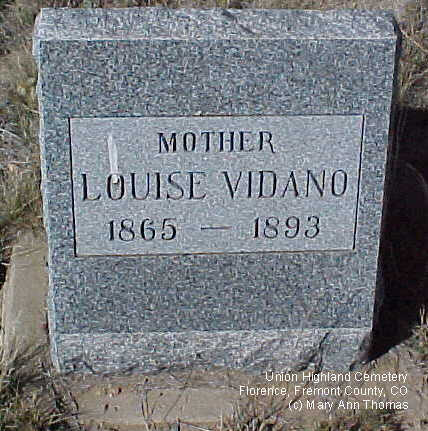 Dorothy E. was the daughter of Fred B. 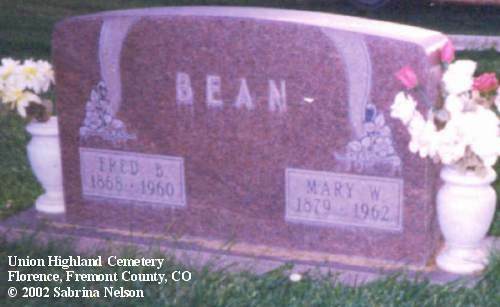 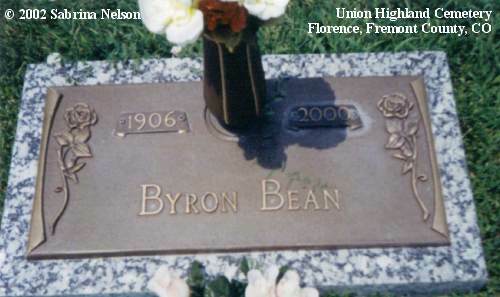 & Mary W. (Hight) Bean. 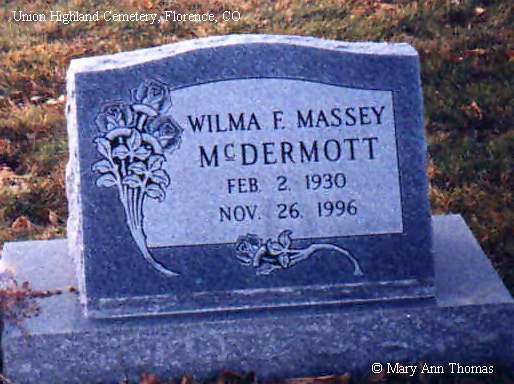 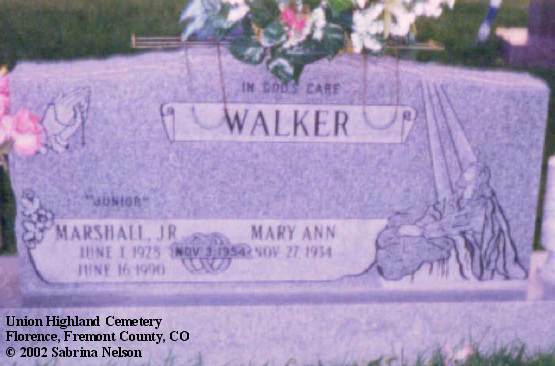 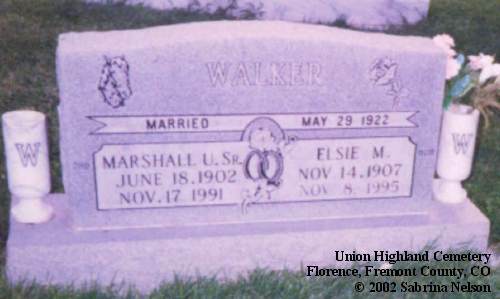 Ella K. Nelson, born 24 Apr 1904, died 17 Mar 1971; possible sister of Marshall Walker. 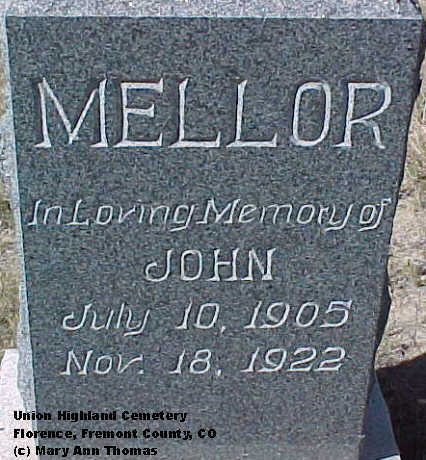 Robert Clayton Nelson, brother of John C., born 25 Jan 1899, died Apr 1945.